Today I have two Father’s Day cards to share with you. The first card is a shaker card I made. 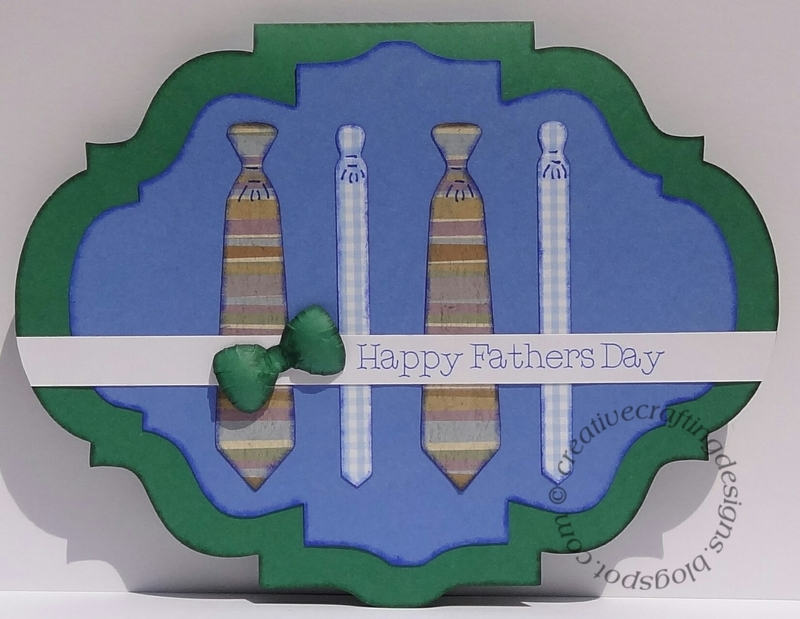 I used my Cricut Explore to cut an SVG file from My Treasured Kutz called 3D Father’s Day Shaker Card. This SVG file is MTK’s weekly freebie for this week. If you’re a last minute crafter like me head over to their website mytreasuredkutz.com to get this freebie. Here’s the direct link to the freebie: Happy Father’s Day Shaker Card. The best part is this is really easy to put together so it make’s it even better for the last minute crafter. It look’s good, it’s easy, and it’s quick. To create the shaker I used a transparency and Elmer’s Craft Bond Foam Mounting Tape and Way to Celebrate! star Confetti from WalMart. Now, on to my second Father’s day card. This card was pretty easy to make too. To make the card base I used my Cricut Explore and a My Treasured Kutz (MTK) SVG file called Flourish “B” Background Card. The ties were created with the metal die “Men’s Ties” by My Treasured Kutz. I inked the edges of the card, card mat and ties using blue Rubber Stampede Acid-Free Dye-Based Ink and a disposable lip applicator (my favorite inking tool). To shape the bow tie I used an embossing stylus and a foam pad. The paper I used for both cards is Recollections paper from Michael’s; both the cardstock and patterned paper.